Samsung Galaxy Music now officially launched in India. 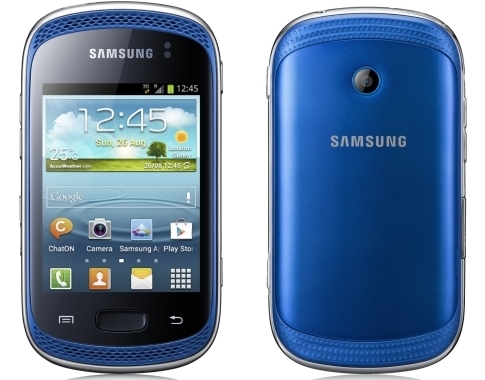 Samsung Galaxy Music Duos is a dual-SIM phone (GSM + GSM). 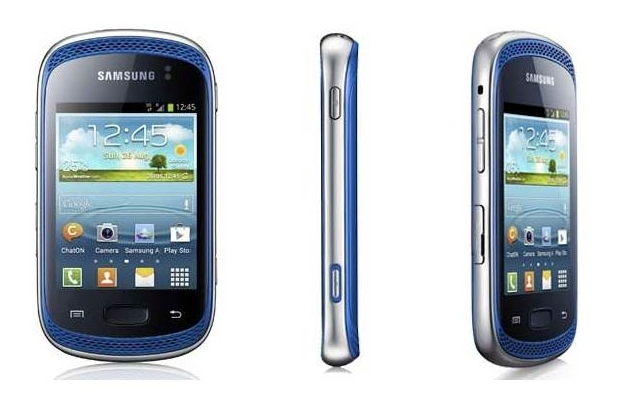 Samsung had announced the Galaxy Music and Galaxy Music Duos smartphones back in October. The company started taking pre-orders in India from the first week of December, 2012. Samsung Galaxy has officially started selling the Galaxy Music Duos through Samsung online store for Rs. 9,199 INR. 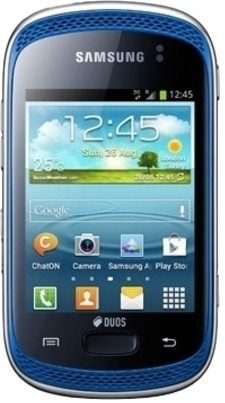 Samsung Galaxy Music Duos excites music lovers with optimized music player interface in a smartphone environment. Dual frontal stereo speakers deliver awesome sound quality, bolstered by advanced audio features and enhancements, along with FM radio. 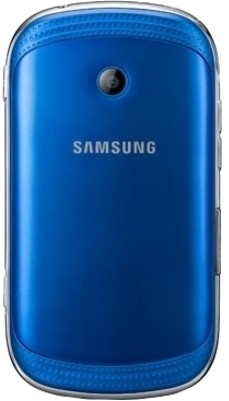 The Galaxy Music Duos come with 3.0-Inch QVGA TFT Capacitive touchscreen display with 240 x 320 pixel resolution and 256K color combinations. The device runs on latest Android 4.0 (Ice Cream Sandwich) operating system that can be upgraded to Jelly Bean version in future. The phone powered by 850 MHz Cortex-A9 processor, 512 MB RAM and 1300 mAh Li-Ion rechargeable battery. Battery features 15-hours talk time (2G) and 500-hours stand-by time (2G). The smartphone has 4 GB internal storage space, Expandable up to 32 GB with MicroSD card slot. The device has also a 3.0 Megapixel primary camera, The camera has all the standard features such as Geo-tagging, 2x Digital Zoom, Touch Focus, Auto focus, White balance and CMOS sensor. The camera is also capable for making 25 fps video recording. The smartphone offers high speed data via 3G, EDGE, Wi-Fi and GPRS. The device also equipped with Bluetooth v2.0 and Micro USB v2.0 for high speed data share. The handset has a Media player. Media player support .WAV, .MP3, .eAAC+, .MIDI and FLAC audio files and .MPEG4, .PVX, .3GP, .AAC+, .AMR-NB, .H.264, .MKV, .AAC, .MP4, .H.263, .VP8, .AAC+V2 and .AMR video files. The smartphone built-in with FM radio, so stay tune with your favorite channels. Samsung Galaxy Music Duos packed with many more apps such as Samsung Apps, Music Hub, Game Hub Lite. Google Talk, Google+, ChatON, Google Play Store, Google Mobile services, Kies PC Application. The device also enabled JAVA. The device has a dedicated Music key for easy music playing.